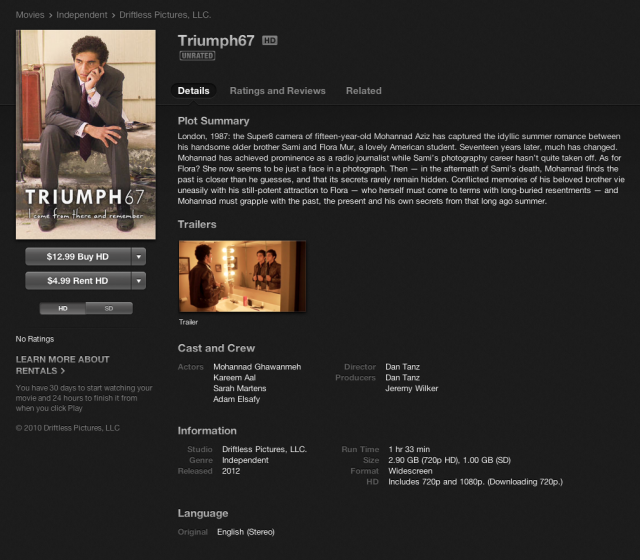 Jeremy is the cinematographer, editor and co-producer on TRIUMPH67. When he isn't behind the camera, he can be found on the set of commercial photo shoots as a digital tech/retoucher (TWEAK Digital) and is the co-founder of Viewville.com, an amazing gallery of fine art photo prints. He loves to play with his two wee children. Dec 28, 2009: Rough Cut Done! Aug 19, 2009: Editing has begun! Tonight is the T67 wrap party and I’m hopeful everyone can make it. I know a few of our cast and crew are out of town and are mightily bummed to be missing the merry-making. This will be an evening of “fancy” dress and drinks and I think based on our busy shooting schedule that everybody will be eager to relax and blow off some steam. There may be a small surprise in store, too!